Thor’s second movie was nonetheless amazing as the first one. But sad to say, the movie was forgettable. 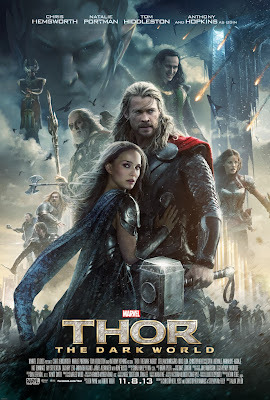 In the sense that we have a lot of Marvel movies coming out and soon will come out, I should say that Thor – The Dark World should have given us something different. Something more. Something that will stay with us when we go out of our movie seats. The graphics amazing. The acting is not great but they don’t have that much material to go with, right? Nonetheless, I enjoyed it. I would give it 3.5 stars out of 5.